I agree, Screens Connect for Windows really deserved a major update, which it finally got today! Recently, many users abandoned by LogMeIn looking for an alternative ended up buying Screens, which is awesome! Of those users, many require to be able to easily connect back to their Windows PC when they are away. Of course, Macintosh users are already covered with Screens Connect for Mac but its Windows counterpart didn’t follow. So today, I’m happy to announce that our fellow Windows users can now download Screens Connect 3.0 for Windows. 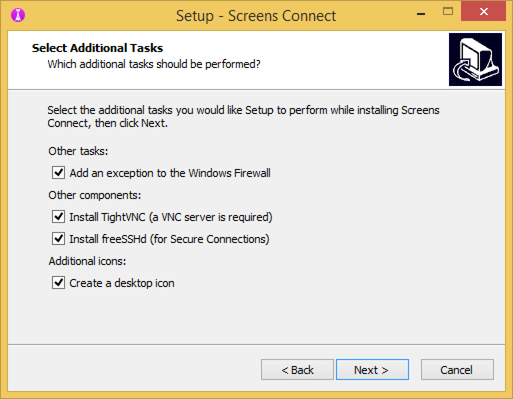 If now VNC server is installed on your Windows PC, you can install TightVNC, which works very well and freeSSHd, which is required if you want to connect through a secure connection (SSH tunnel). So no more looking all over the Internet to find the missing pieces of the puzzle! 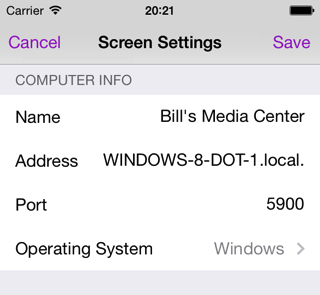 Unfortunately, TightVNC or any VNC server won’t broadcast their service like Screen Sharing does on OS X. That resulted in having to create a new connection manually in Screens. There must be a better way! 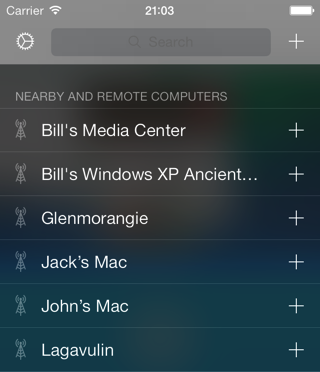 …which makes configuration much easier! We worked hard on making sure port mapping was working on most configurations and make Screens Connect much more reliable. Now that we have a solid foundation, we’ll try to add new features to Screens Connect in the future. So enjoy and we’d love to hear about you!